Player vs Player | Where's Me Drink? Going down with the ship is supposed to be the Captain’s job, and maybe that’s why I do it. I consider myself a Captain when I’m in a battleground. I’m not the most well geared, but I typically have an idea what strategy will work best and I play to win. What is going down with the ship? 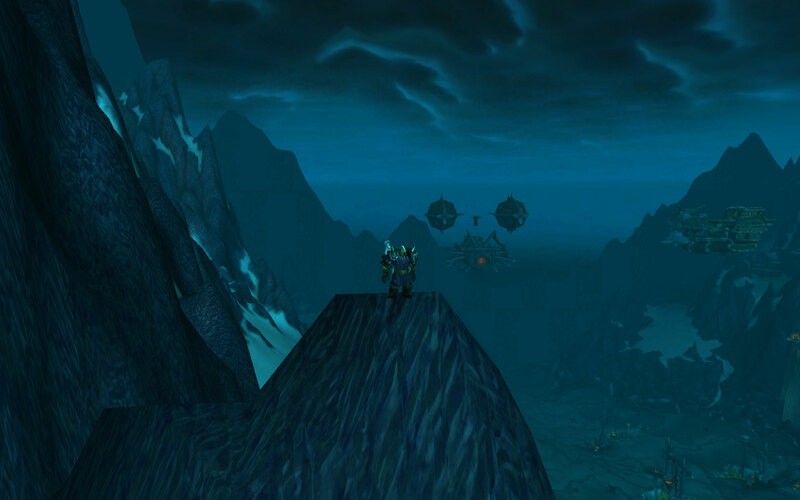 The best example I can think of is when solo-defending a node in Arathi Basin and a group of Horde (or Alliance if you are a bad guy) come to take it from you. You have two choices at this point. Run and live. Stay and die. My inspiration for this post is a Death Knight who was guarding the Farm the other day. I was at the Lumber Mill, so I saw the whole scenario unfold. 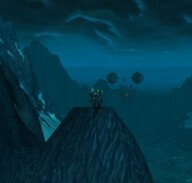 (On a side note, I’m the one who called the incoming…not him) He was all by himself and saw about 4 Horde coming at him. What did he do? He ran away. He lived and didn’t suffer the stinging indignity of defeat. Or did he? We lost the Farm in fairly short order and it was essentially his fault. Sure, we might have lost the farm anyway, but could he have held out until reinforcements arrived? Could he have lived just long enough for someone else to come and occupy the horde until even MORE reinforcements arrived? That’s what I was planning. He was going to die. There is no doubt in my mind. I couldn’t have reached the farm quick enough to do anything other than interupt their attempt at capping that node. That’s the point though isn’t it? If he held them off long enough for me to get there, and then I held them off long enough for someone else to get there, we are still accumulating resources for holding that node. That’s why I’ll ALWAYS go down with the ship. I may not get as many kills or do as much damage or have the glory job, but people like me create wins in BGs. We are the unsung heroes. We defend. When one lonely horde comes after me, I defend. Sometimes I win, sometimes I die, but I die defending. When two horde come after me, I defend. When 10 Horde come after me, I defend. On the occasions where I face overwhelming odds, but defend long enough for my reinforcements arrive and save the day? The victory is oh so sweet. So to all of you out there who play in BGs, I have this to say. Defend the nodes. Call out when enemies are incoming, and go down with the ship. If you run, the enemy accomplishes their goal that much faster. I’ve been splitting my time about 25/75 in WOW lately. 25% of the time, I raid. The other 75% of the time, I pvp. I’ve got what I consider a pretty solid starter set going. I’m 5-piece Hateful gear, Deadly neck, cape, wrists & boots and Wintergrasp belt and trinket. The only PVP upgrades I’m missing at this point are rings, one trinket and my weapons. I say weapons half-heartedly because when I say weapons, I mean my ranged weapon. Sure, I’d pick up an Arena weapon if I managed to get my rating that high, but for now I’m just itching to get my hands on an Ulduar weapon. Fortunately, my guild is currently downing three bosses in Ulduar who drop 2-handed weapons for me, two of which are on “farm status”. Ignis drops Relentless Edge. Relentless Edge is a polearm, which is not necessarily a bad thing, but it lacks the STR of other weapons in favor of pure attack power. This wouldn’t really matter to me in Arena, as I don’t have a pally partner to give me kings. This thing comes with a crapton of crit, but the speed is a little fast and the topend damage isn’t nearly as high as others. Still, this is a solid upgrade over the Destroyer. This weapon would probably be my last choice of upgrades, if I got to choose. Flame Leviathan drops Ironsoul. Ironsoul is the easiest Ulduar weapon to get because you have to get by Flame Leviathan just to have a chance at any of the others. Ironsoul is also a very solid upgrade to my Titansteel Destroyer, packing Armor Pen and a whopping 131 more topend damage. It loses some AP from Strength, but it has more Stamina and CRIT, which the Destroyer sorely lacks. Ironsoul would be my second choice of Ulduar upgrades. Hodir drops Stormedge. This would probably be my first choice of upgrades. For PVP, it’s probably not QUITE as good as Ironsoul, but I’m really itching to switch to Axe spec and get that 5% crit chance & damage. With Axe spec, this thing moves ahead, as the 5% crit would definitely be more than the crit from Ironsoul. It’s got STR, Stam, Armor Pen & hit. Hit is usually not the most heavily weighted stat in PVP, but the fact is I’m a little under the 5% hit cap on Randul, so it can’t hurt. The good news is, I have access to these weapons. The not so great news is that I’m second in line to pick them up. (Third if you count hunters for the polearm) A guildmate is still using the Collosal Skull-Clad Cleaver and DPS is his main raiding spec, so he’ll get dibs over me. HOWEVER, once one of these drops for him, I’ll be swooping in and getting the tools to take my Arena team to a new level. Speaking of my arena team, my partner & I went 9 – 1 last night and broke 1,000 rating. We stopped while we were still fresh, but we weren’t showing any signs of slowing down. The one loss we had was truly a fluke. A hunter disengaged, I charged to get the killing blow and he just happened to disengage on top of the pillar in the Orgrimmar Arena as it was going up. There’s no possible way he planned that. RNG strikes and kills. On a side note, as I said above, DG has killed Hodir. Thanks for playing, please come again.